When to Get a Skip Hire in Adelaide? Home>News>When to Get a Skip Hire in Adelaide? Are you wondering about whether you actually need to do a skip hire in Adelaide? Well, that depends on the amount of trash you actually produce on a regular basis. A small family hardly ever needs anything bigger than a regular rubbish bin while big ones are left with a truckload of garbage at the end of the week. Perhaps you’re looking to undertake a few renovations in the house? If so then renting a large industrialised waste bin might just be the perfect and cost-effective solution. Do you actually need a mini bin? Skip bins are ideal for situations wherein you know you’d be dealing with a lot of trash that your regular waste bin simply isn’t going to do. Such a situation might be temporary as is often the case for people undertaking a construction/renovation project or hosting certain events. In some cases, the need for a skip bin may be a regular situation especially among many large families in the southern suburbs. In any case, having someone provide you with a properly sized bin and get all your rubbish hauled away on a regular basis is a great convenience. Of course just as it is with any other service provider you’ve got to be careful about who you actually rent mini bins from. Needless to say, you’d want to opt for a reputable company that you can rely on to provide you with a usable and properly sized mini skip whenever and wherever you need it. Such a company can provide you with a good deal along with all the added services that you’ll be receiving. 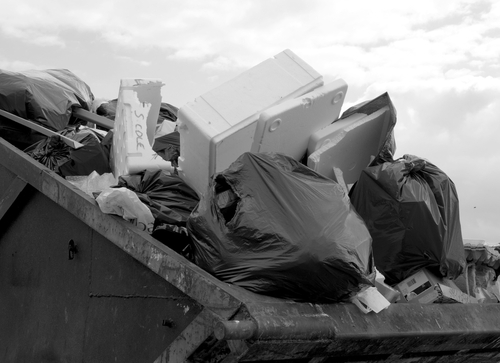 After all, there’s not much use renting a large waste container when you’re unable to make use of it simply because it hasn’t regularly been emptied by your service provider. Yet another thing that you can expect from a reputable service provider for a skip hire in Adelaide is to provide you with the right kind of skip depending on your waste management needs. Skip bins vary depending on the type of waste that it is designed to hold from household rubbish and construction materials like metal and concrete to hazardous chemicals. You can also provide your service provider with the dimensions of the area where you intend to use the skip if only to make sure that they provide you with one that fits your needs perfectly and doesn’t take up unnecessary space. Looking to get started? We’ll send a team over to deliver and pick up your mini skip so that you’ll never have to worry about a thing. Call Easy Skips today on (08) 8325 3033 and arrange for a skip hire in Adelaide!